You may have seen me tweet that I was creating a bridal bouquet for my dietitian bride. 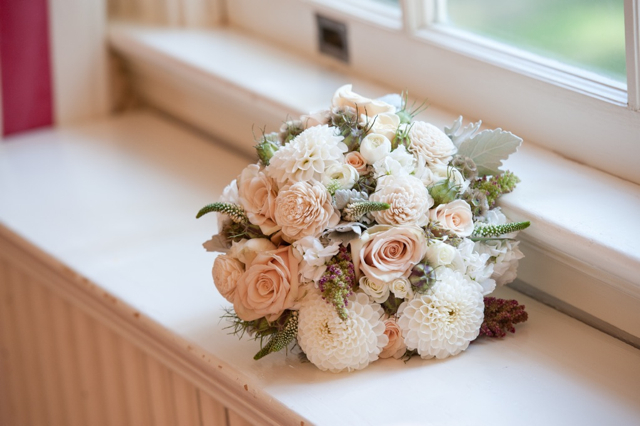 This bridal bouquet was created for Loudoun bride Carlene. Carlene also writes a great blog called Carlene’s Figments, and she hopes to open a practice here in Loudoun. I used sage, oregano, mint, mini black peppers, brussel sprouts, green beens, asparagus, okra, sugar snap peas, cabbage, and baby carrots in this bouquet. 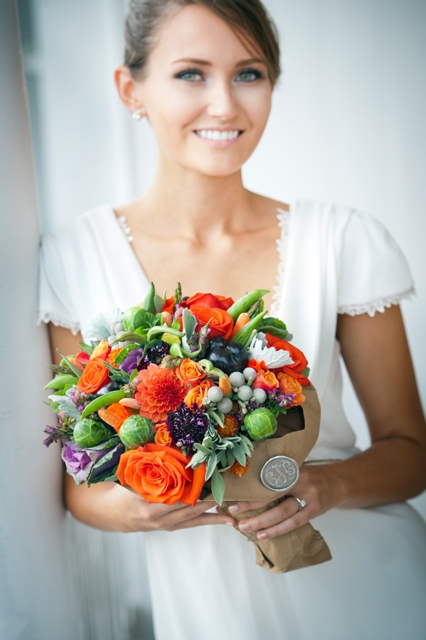 Oh yes I did use some flowers as well, we used orange santana roses, orange dahlias, purple scabiosa flowers, orange spray roses, silver dusty miller and silver brunia. It’s yummy right? 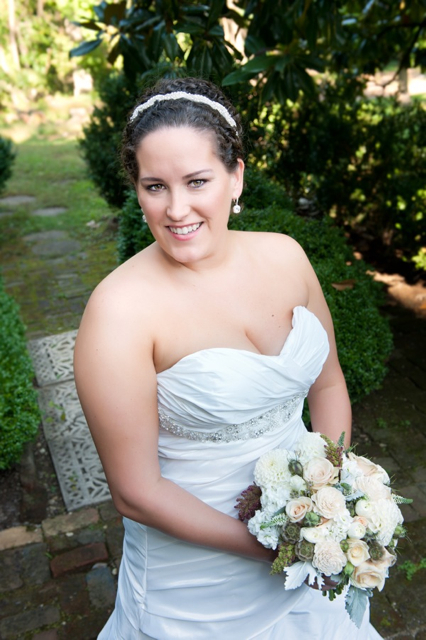 Carlene married at the Thomas Birkby House in Leesburg Va.
Betsey’s bouquet was created with white dahlias from Don, white veronica, balsa wood flowers, sahara roses, nigella pods, golden amaranthus, white spray roses, dusty miller, silver brunia, white ranunculus, green seeded euc, and scabiosa pods. These were both beautiful Loudoun Weddings and I look forward to seeing more of these images from one of my favorite local photographers Bob Updegrove. 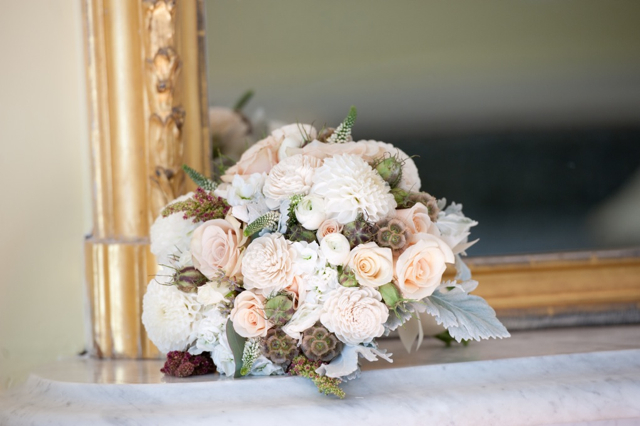 Both brides used the Holly Heider Chapple Flowers petals to go program. Love the vivid colors of the first bouquet. The flowers were gorgeous and Betsy was so pleased. I love your blog and all the wonderful wedding pics. Frame the snow pic! 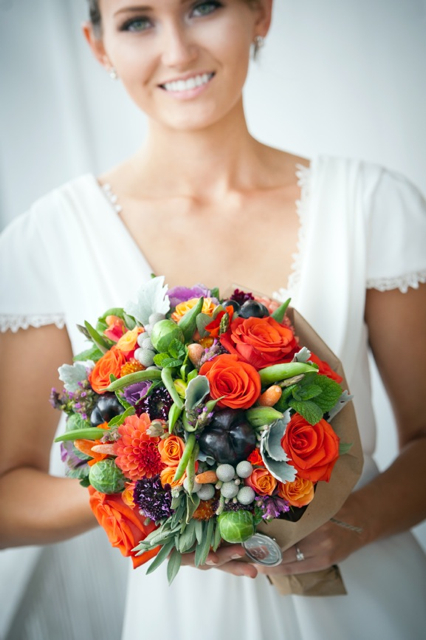 I love that veggie and herb bouquet! You do amazing things with produce!